This post was sponsored by Tai Pei. All opinions expressed in my post are my own. My husband’s work schedule is a bit crazy. Sometimes he works early and sometimes he works late… luckily, we have found ways to work around his unpredictable hours. In fact, one of our favorite things to do around the middle of the day is to enjoy a lunch date – just the two of us! 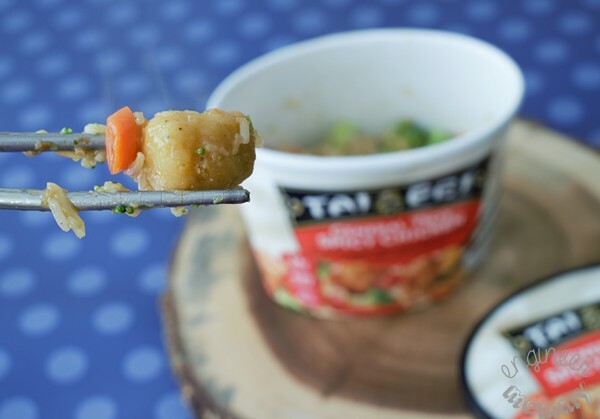 To keep the food simple & delicious, we have been loving Tai Pei Asian Food. 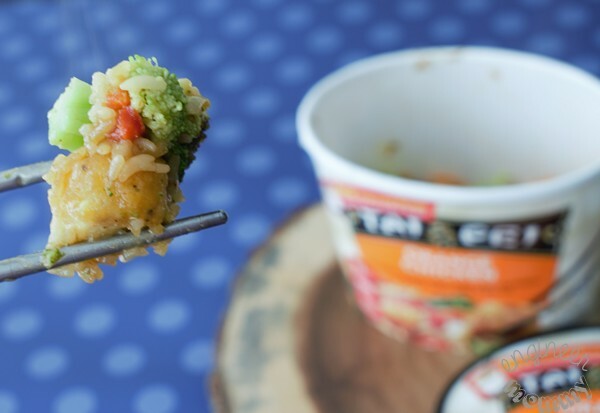 These frozen entrees are delicious, convenient and made with natural ingredients. It doesn’t take too much effort to set the table and create a lovely mood. 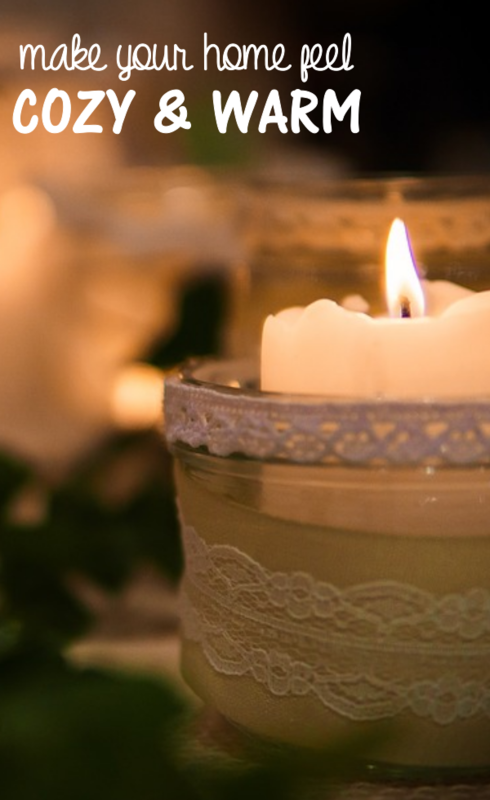 I like to light some small candles (unscented ones are best while eating). I also like to fill a vase with some fresh flowers and put that on the table, too. It’s a simple step but it definitely makes a big impact. 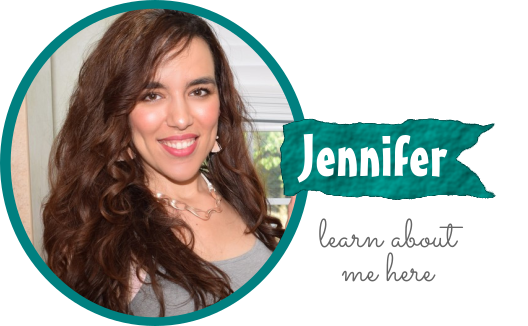 Choose easy, delicious food options! We have been enjoying Tai Pei Asian Food recently (I talked about my love for Tai Pei here & here). The convenience cannot be beat! On busy days during the holiday season, there’s nothing better than placing one of these Tai Pei entrees in the microwave for a quick meal. 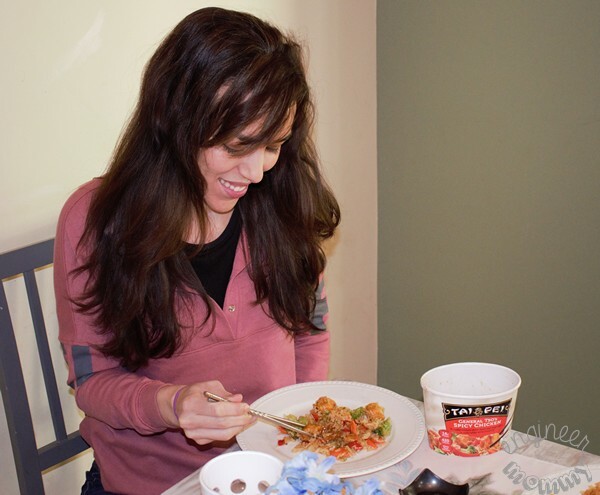 Thanks to the innovative packaging, a delicious flavorful meal is ready to enjoy in minutes. There are so many amazing varieties to choose from and each has its own rich flavor. On our lunch date, we tried Orange Chicken and General Tso’s Spicy Chicken. 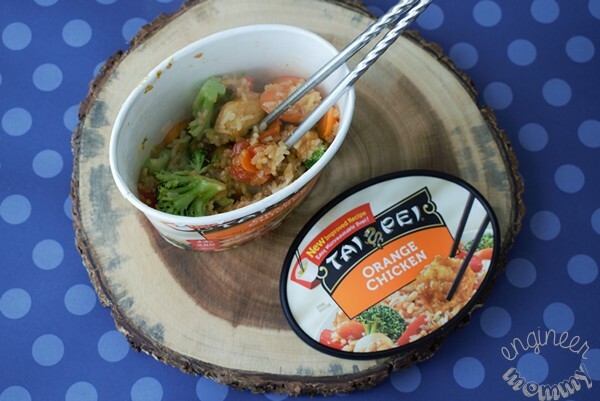 The Orange Chicken features breaded white meat chicken, delicious veggies and fried rice. I love that all entrees are prepared with real, pure ingredients. There are no preservatives or artificial ingredients so this is a meal that I feel good about eating! Featuring generous pieces of battered chicken that are coated in a delicious sauce, the Orange Chicken variety is definitely one of my favorites! 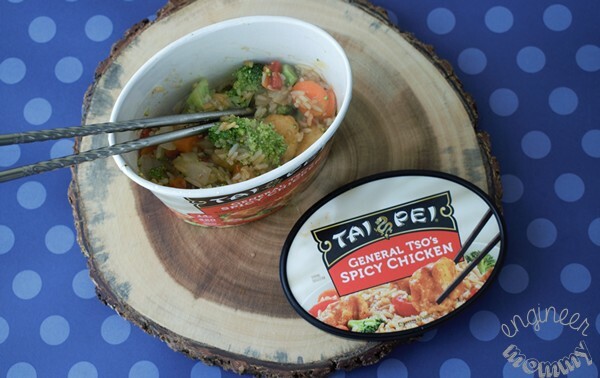 Tai Pei’s General Tso’s Spicy Chicken was another yummy variety in the all-new Tai Pei single serve line of entrees. Featuring breaded chicken & vegetables in a savory spicy sauce, this one has a truly exceptional flavor. I love that these entrees don’t contain any of the bad stuff… just simple, tasty goodness! For me, the General Tso’s Spicy Chicken is totally reminiscent of the take-out classic. However, the Tai Pei version is more convenient, affordable and delicious! That’s a WIN in my book! 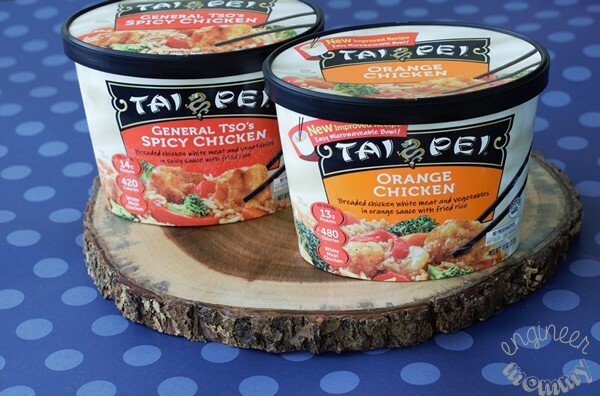 Avoid the boredom of predictable everyday meals and make your meals interesting with Tai Pei. Skip those marathon cooking sessions in the kitchen and take advantage of the convenience of Tai Pei. Use the store locator on the product website to find out where you can find Tai Pei Fried Rice at a retailer (frozen food aisle) near you. An important aspect of a fun lunch date is having a great conversation. 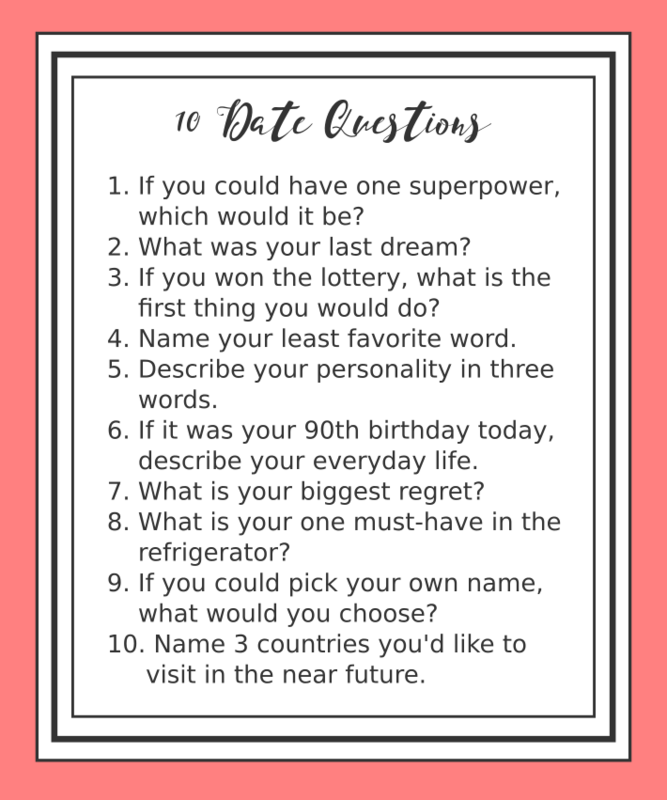 To spark some thought-provoking comments, I created a set of fun date questions. 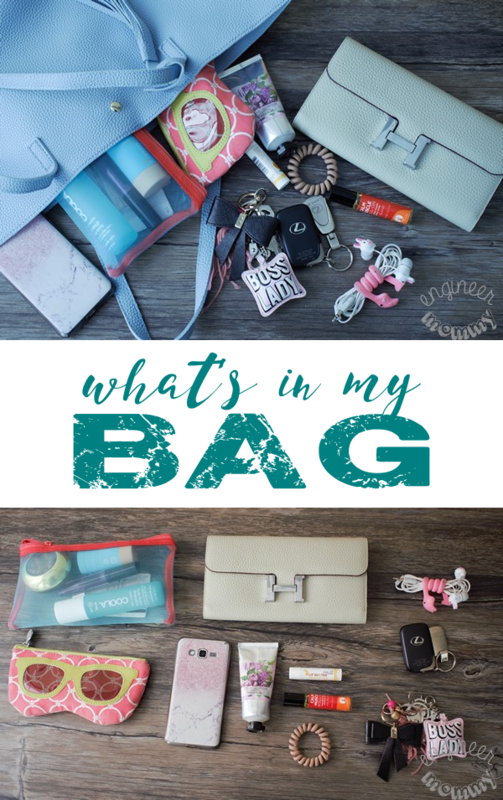 Simply click here or click on the image below to download your printable version. We had a blast exchanging answers on our preferred superpowers! Which superpower would you love to have? While we chatted about our answers to the Date Questions, we enjoyed Tai Pei Asian food. I love that there so many great varieties at the store and I can’t wait to try other flavors. Each one is made with flavor-infused rice. Our lunch date was a huge success and we can’t wait to set up another! For the latest news & offers from Tai Pei, check them out on Facebook, Twitter and Instagram. Before you head to the store, be sure to use this coupon to save $1 off Tai Pei Fried Rice. 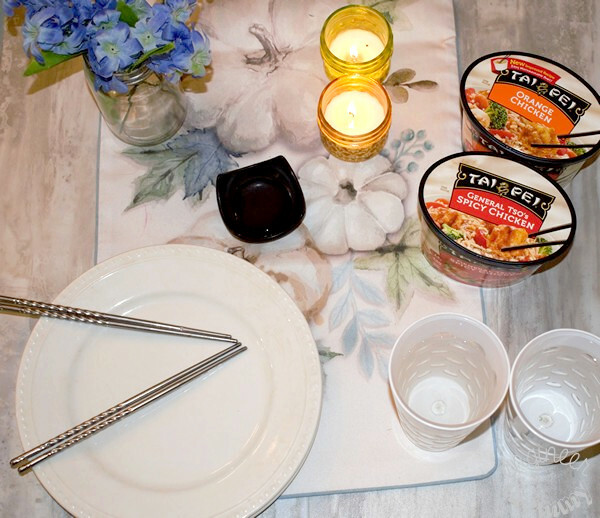 Have you ever enjoyed an at-home lunch date with your significant other? Ever used a conversation starter to spark some laughs? 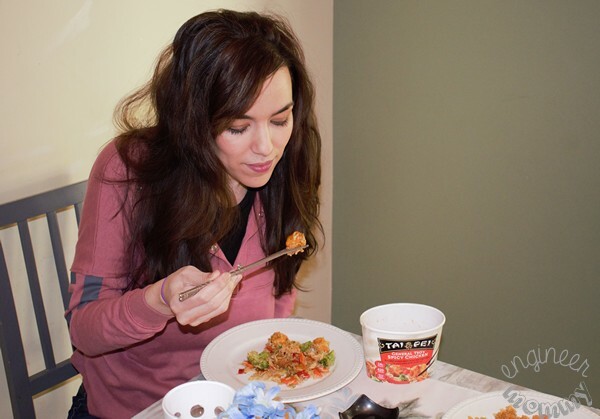 Have you ever tried the delicious flavor of Tai Pei Frozen Fried Rice entrees? At-home date lunches are the best! Creating a cozy, warm environment is important and serving delicious food that is easy to make really enhances a lunch date. Eating at home is cheaper. Looks like you found a way to spend sometime together and enjoy a good meal. Yum, these meals are so delicious. We always have them in our freezer. I like your date ideas! We love Asian food, but I’ve never tried it like this. What a quick and simple way to get food on the table. Hubby and I have a date night every week. Sometimes it’s lunch and sometimes it’s dinner. It’s so important to spend time with each other. This is so cute! Loved reading this. Goes to show that you don’t have to spend a lot of money to have a nice quick meal with the ones you love. What a great idea for a quick date to reconnect. The lunches look tasty and the questions are entertaining. There is something wonderful about taking some time out in the middle of the day together, I love how easy these sound to cook and how delicious they seem to be! Perfect. I haven’t tried Tai Pei yet. I’m pretty sure that one of my brothers is a big fan of their fried rice. I’m going to have to look for these next time I’m shopping. The idea of a lunch date at home is perfection. I could use a nice little lunch date. Great ideas. I think some Tai Pei meals would be perfect for us. Squeezing in a lunch date any time you can is always a good idea! This dinner actually looks yummy– I’d love to try this! Lunch dates can be so fun and don’t always require an expensive, fancy restaurant. 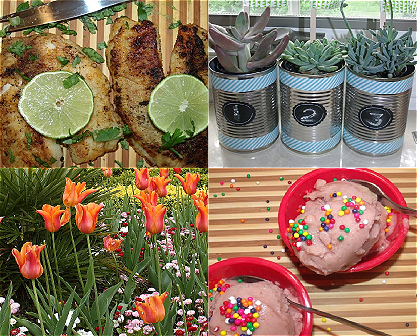 At home, especially picnics, are so fun. Awe what a lovely and romantic dinner date setting. 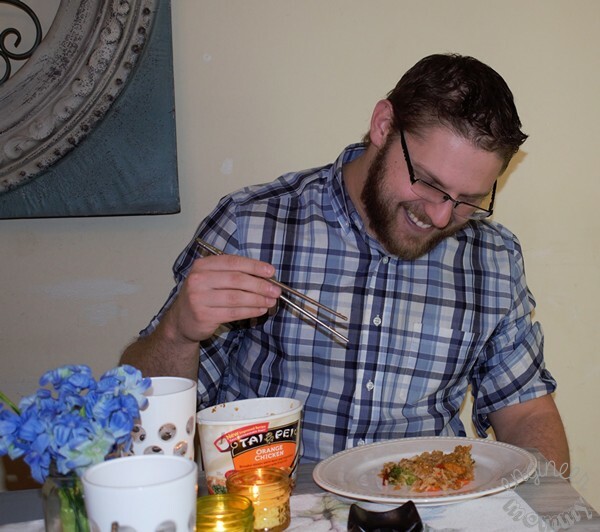 I love your chopsticks, you and your husband looks like having a blast. I love the idea of having lunch dates with our spouses. A great way to spend some quality time together. When my husband and I used to go on dates, we always liked something easy. This would have been one of our choices most likely! I think quiet lunches at home are great for stealing some time together looking at the hectic schedules that we normally juggle with. Rather than wasting time going out it is a great idea to enjoy simple food and some amazing conversations. I love a good at home date, they feel more personal than going out! I also love Tai Pei food, it’s so GOOD!! I tried Tai Pei’s Beef and Broccoli and I’m hooked! This is one delicious filling meal in a cup! I have to try other flavors too, but I guess I will always go back to my favorite beef and broccoli!